Al Golub lived in St. Louis, Missouri, Denver, Colorado, Los Angeles and California’s central valley, but he felt he’d finally come home when he moved to the forest near Yosemite twenty years ago. The first time he visited Yosemite National Park, the beauty left him breathless. Many decades and hundreds of trips later, he continues to be awed by the magnificence of the rock formations, the wonder of the waterfalls, and the incomparable quality of the light in all seasons. 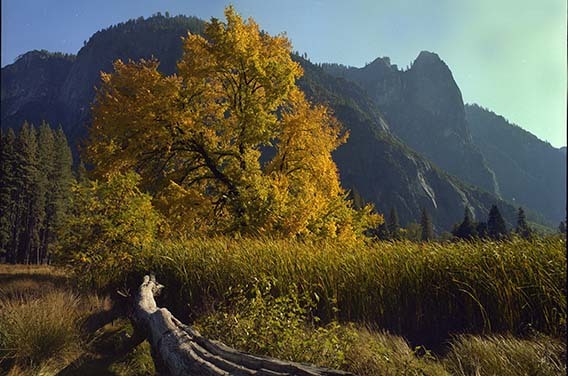 He has photographed all aspects of Yosemite, from the accessible valley, to the more distant Nevada Fall, May Lake, Grand Canyon of the Tuolumne, and through the wilderness areas only reachable by days of hiking. His critically acclaimed images of Mount Ansel Adams have received coverage on network television and in scores of print publications worldwide. 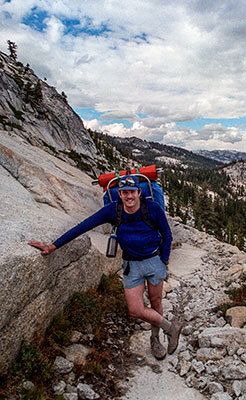 He hiked the Yosemite backcountry including lengthy trips through the Ansel Adams Wilderness and was honored to be the only photojournalist to accompany the Ansel Adams family when they packed into the wilderness to visit the mountain that bears his name and to memorialize the great photographer after his death. He has been a photojournalist most of his life, working for forty years at the Modesto Bee including as Director of Photography. He has covered every subject imaginable from natural wonders through natural and man made disasters, including birds, wildland fires, earthquakes, criminal trials, football,and general news. He has won multiple awards in every subject area. Al Golub has taught macro photography with a focus on outdoor subjects such as wildflowers, birds and their nests, and spawning salmon. Al’s other experience with macro photography includes years of work in the studio meeting the stringent requirements of commercial clients including several renowned California wineries. The range of subjects he has photographed up close and personal over the past half century is too wide to mention, and includes whatever has been needed to tell the story, whether for his private commercial clients or his newspaper employer. His understanding of the equipment required for macro, table top, and other photography is equally broad. He taught digital imaging and photojournalism for the Yosemite Community College District in the Graphics and Art Departments. He taught photochemical photography for several organizations and was a photographer in the Air Force. He also worked as a consultant and field tester for both the color and black & white film development divisions of Eastman Kodak. He is a Photoshop and Lightroom expert. His technical expertise in digital photography and photochemical/film is extraordinary. He is strongly committed to sharing the “secrets” he has spent decades learning. Photographers regularly contact him for assistance and advice and he never turns them away. His life has shown that the more open he is with others, the more opportunities will come his way. He is never happier than when he is taking photographs and sharing the experience with other photographers.